5つ星のうち5.0Uniquely Gould and a superb reference performance! 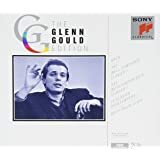 Glenn Gould was iconic in everything he did, believed, played, and said. He would have gone down in history as just another nut if he hadn't been such an unbelievably magnificent Bach performer. This album of WTC II just confirms and perpetuates his status. You may not always agree with Gould's interpretations, but every one of them said something - usually new - about the piece. And so it is here. 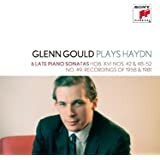 Gould's treatment of the Book II Preludes and Fugues is sometimes iconic, occasionally traditional, but ALWAYS musical, purposefully-performed, and deeply felt. There was a purity of mind and spirit when Gould performed. I considered it a privilege to have heard him in recital when I was in high school. It was mesmerizing, like each of his recordings have proven to be. These discs display the superb technique of the pianist. Such precision. 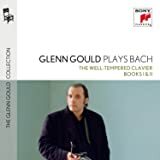 Was it not for Gould's almost spiritual manner with which he approached Bach, he would have been regarded only a digital gymnast -- his playing is that note-perfect. Occasionally his staccato will shock the listener, but for the most part what he plays is sublimely musical. The background is quiet. The piano sound is more natural. Overall, there is a sense that Gould had matured more than the brief two year break between recording Book I and Book II. Both as well as Tureck's accounts represent the Gold Standard for the WTC. If you are already a disciple and don't have his WTC II, then by all means procure it with haste. If you for some reason are starting a Bach keyboard collection, this is an essential album. 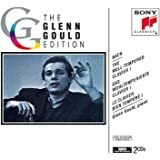 I almost envy the individual who listens to Glenn Gould for the first time. I still remember to this day the excitement I felt when I listened to my first Gould LP, the Partitas. Don't be tempted to buy the anniversary edition as there have been complaints that the track listings have been royally screwed up! This is one more magnificent Gould disc with the highest recommendation I can give! 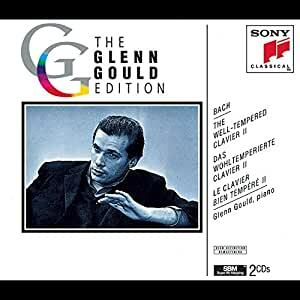 I had a LP of Glenn Gould playing Bach's Well Tempered Clavier II around 1970.
played on a piano and how good Gould was at it. but I love it. It sounds like the same recording. because these were written at such an early time in musical history. Gould plays Bach with a passion that can rarely be equalled!